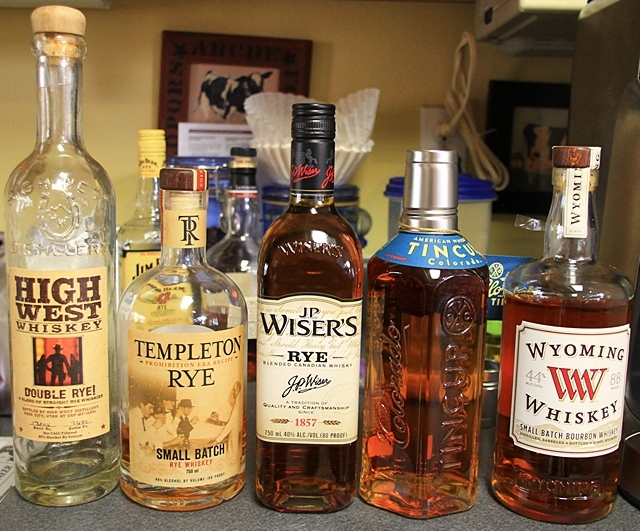 Here are three more great ryes that I’m fond of, along with two whiskey’s, Tin Cup & Wyoming Whiskey, that are EXCELLENT, too. 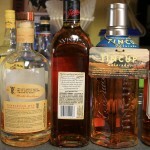 Tin Cup is actually a “high rye bourbon cut” whiskey. Tin Cup’s founder Jess Graber, the creator of Stranahan’s Colorado Whiskey, uses a blend of 64% corn, 32% rye and 4% malted barley. The master distiller of Wyoming Whiskey, Steve Nally, who spent 33 years of his career distilling for Maker’s Mark, uses a blend of locally grown corn, wheat & barley in this great tasting small batch bourbon whiskey. 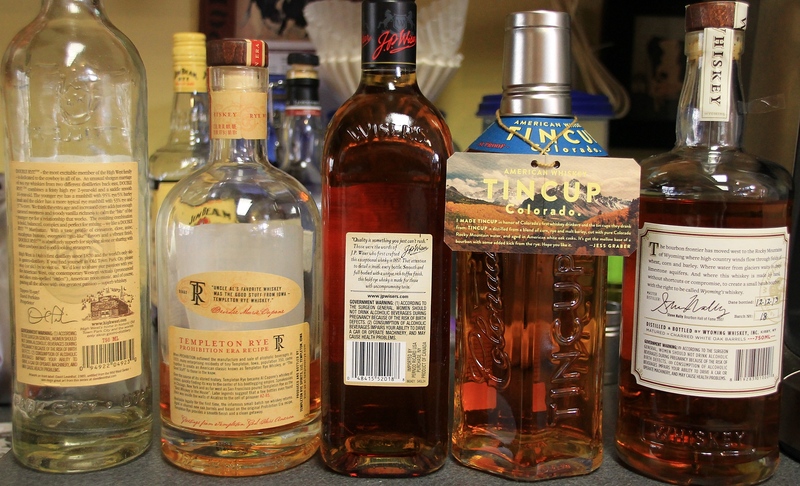 Wyoming Whiskey is the first, and only, legal distillery in the State of Wyoming, located in the town of Kirby. To read the back labels, click on the thumbnail below. This entry was posted on March 23, 2014, 17:25 and is filed under Misc. You can follow any responses to this entry through RSS 2.0. Both comments and pings are currently closed.